Roman glass sterling silver earrings. 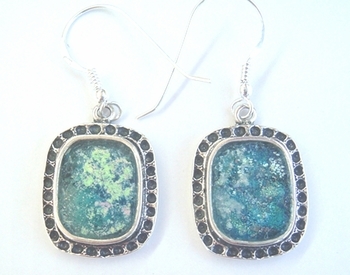 Unique classic design in sterling silver rectangle earrings with Roman glass . Amazing Gift . Best choice for Museum shops and galleries .Wholesalers recommended . sterling silver roman glass earrings.